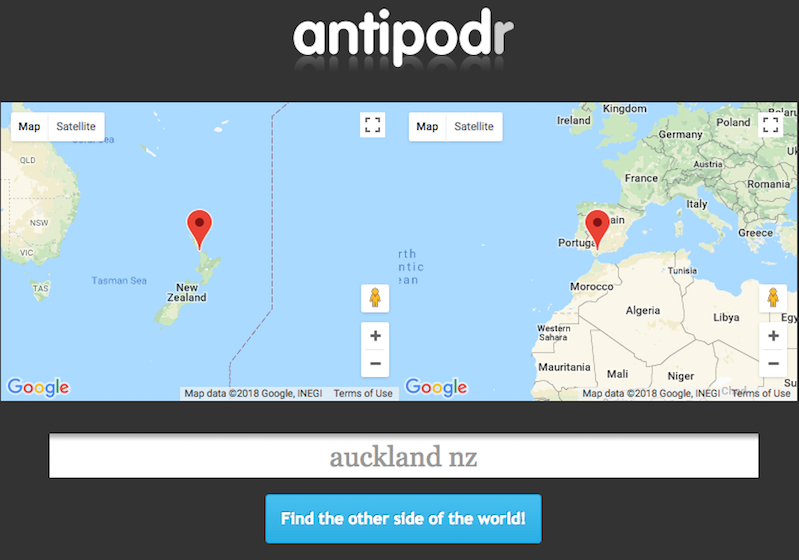 Antipodr is a nifty little site that lets visitors learn what’s on the opposite side of the globe from any coordinate. For instance, Auckland, New Zealand is directly opposite Venta de Leche in southern Spain. Honolulu, Hawai’i is directly opposite Dekar in Botswana.